Obituary for Stevan D. Giguere | Kostanski Funeral Home, Inc.
Stevan D. Giguere, 71, of 30 Chestnut Street, died unexpectedly Thursday 1/24/19 at Baystate Franklin Medical Center in Greenfield. He was born in Greenfield on January 10, 1948, the son of Henry J. and Ruth B. (Finck) Giguere. Steve was a graduate of Greenfield High School, class of 1966, and continued his education at Wentworth University in Boston. 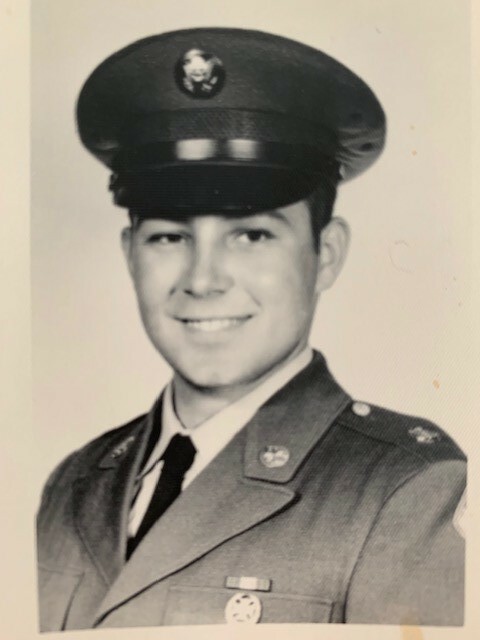 Steve enlisted in the United States Army and served from 1968 to 1971, stationed in Germany, specializing in radio communications. Steve was employed with Pan Am Railways as Communications Engineer, prior to retirement. His railroad career spanned over forty years. During the Guilford Rail System years, he worked in radio maintenance, and during the Boston & Maine years, in the signal department. He was formerly employed with AT&T, also known as Ma Bell, for five years. Steve also assisted implementation of emergency public alert systems near several Nuclear Power Plants in the New England area. As a teenager he worked at Pro Brush plastics in Florence, Snow's Ice Cream and Urkiel's Garage, both in Greenfield. In his youth he worked locally picking tobacco and blueberries. Steve was a music enthusiast and his interest included many genres and eras. He shared his extensive music archives and trivia with family and friends. Steve's kitchen was the hub of the home where he was always cooking homemade meals and short orders for family, friends, and anyone who stopped by. His sense of humor and storytelling always brought entertainment and laughter. Steve was a mechanic, handyman, troubleshooter and problem solver; He was the man to call. Steve was an avid sports fan, especially of the New England Patriots and Boston Red Sox. He also loved going to his children's and grandchildren's sporting events, musical performances, and dance recitals. Steve was known for his over-the-top generosity, strong work ethic, and love for his family. He was a provider that always put his family first. Steve will be deeply missed, loved, remembered, and will be forever in our hearts. Besides his beloved wife of over fifty years, Marcella C. (Englehardt) Giguere, Steve leaves a son, Michael Giguere of Turners Falls; two daughters, Alecia (Giguere) and her husband Tony Bardwell of Greenfield; Stacey Giguere of Greenfield; three grandchildren, Morgan and Wayde Bardwell of Greenfield and Justin Giguere of Turners Falls; two sisters, Lois (Giguere) St. Germain of Greenfield and Laurie Giguere and her husband Brian Thomas of Salem, NH; and many nieces and nephews. Funeral services will be held Friday 2/1 at 9am at the Kostanski Funeral Home, 1 Kostanski Square, Turners Falls, followed by a Liturgy of Christian Burial at 10am at Our Lady of Czestochowa Church, 84 K Street, Turners Falls. Burial will follow at the parish cemetery. Calling hours will be held Thursday 1/31 from 5-7pm at the funeral home. Memorial contributions may be made to the VFW via www.vfw.org.